Is it still owned and ran by the Hocking’s family? Yes! 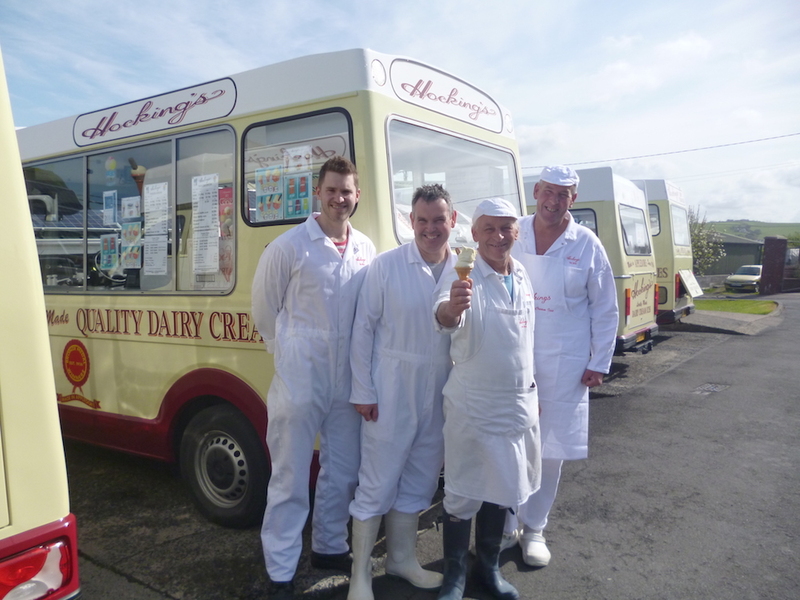 The factory is still run by Geoff and Neil who are 3rd generation Hocking’s, and Andrew who is 4th generation. We are also helped every year by nephews and nieces of the Hocking’s family. How many vans do you have in total? In total, we have 16 vans – including Grandfers original 1928 Morris Cowley. 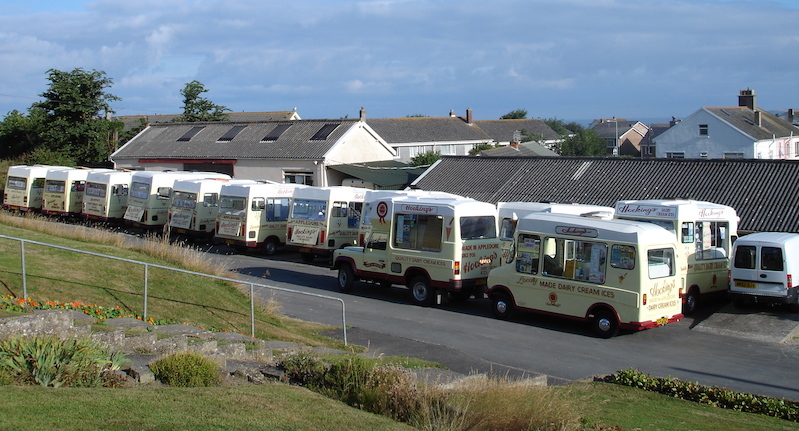 Why don’t other vans sell your flavoured ice cream? 75% of our customers are locals who have grown up loving our traditional flavour and we rarely get asked for an alternative, and because of this, we use the additional space in the vans to sell freezer packs for you to take home (these are available in most of our flavours). Can you serve ice cream at my wedding? Regrettably, we are unable to serve ice cream at your wedding. Our seasons are very busy and when we’re not out serving the general public we’re back in the factory making more. Why isn’t a 99, 99p? 99 never referred to the price – they used to cost nearer 3p back in the day! The title ’99’ came from Cadbury’s when they produced a smaller flake for ice cream a named it a flake 99, though as they say on their website the original meaning behind the 99 has been “lost in the mists of time”. What do you do over the winter months? 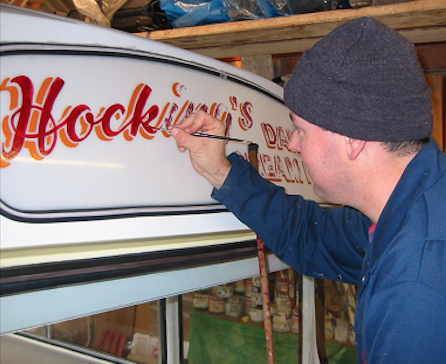 As well as taking a well-earned rest we use this as an opportunity to give all the vans some much needed TLC – this includes touching up paintwork, deep cleans and general maintenance to keep them all running smoothly. We aim to be all ready and back on the road the first weekend of MARCH. Can I work at Hocking’s? As well as the family we have employees that return to us each summer to work in the vans, however, we’re always keen to find friendly and reliable people to give us a hand throughout the busy seasons. If you’re interested in working with us call the factory or talk to someone in a van to see if we’re looking for anyone.